We can provide you with a custom quotation for the cost of delivery. We'll ask you for further details during the checkout process. Sorry. We do not currently delivery to your region. 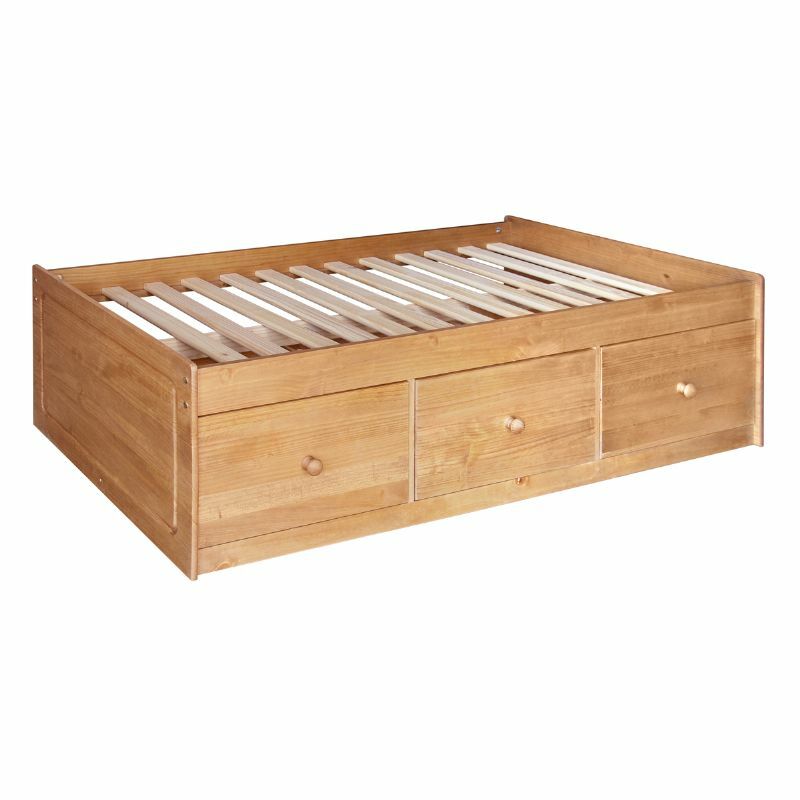 A fantastic choice for your spare room, converted loft or kid’s bedroom, this 3 foot Corona Single Cabin Bed with its low design offers valuable storage space with its three drawers underneath. 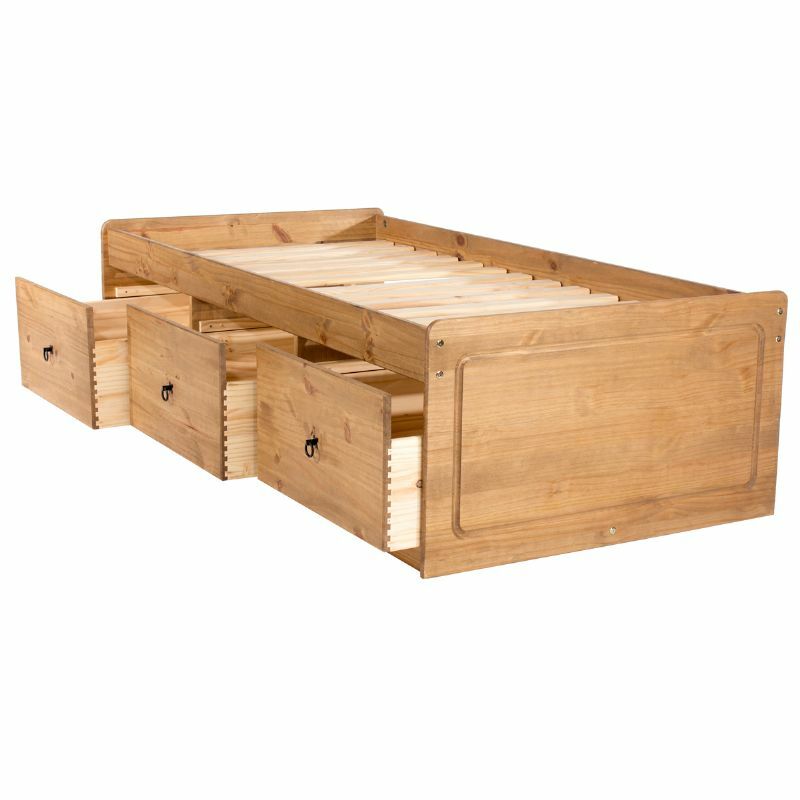 It has a fixed slatted bed base which offers great support to the back area as it is able to adapt to various amounts of weight placed on it and the three drawers are a good size to store items out of sight. It offers you great value for money by combining age-old Mexican furniture design with a modern finish. 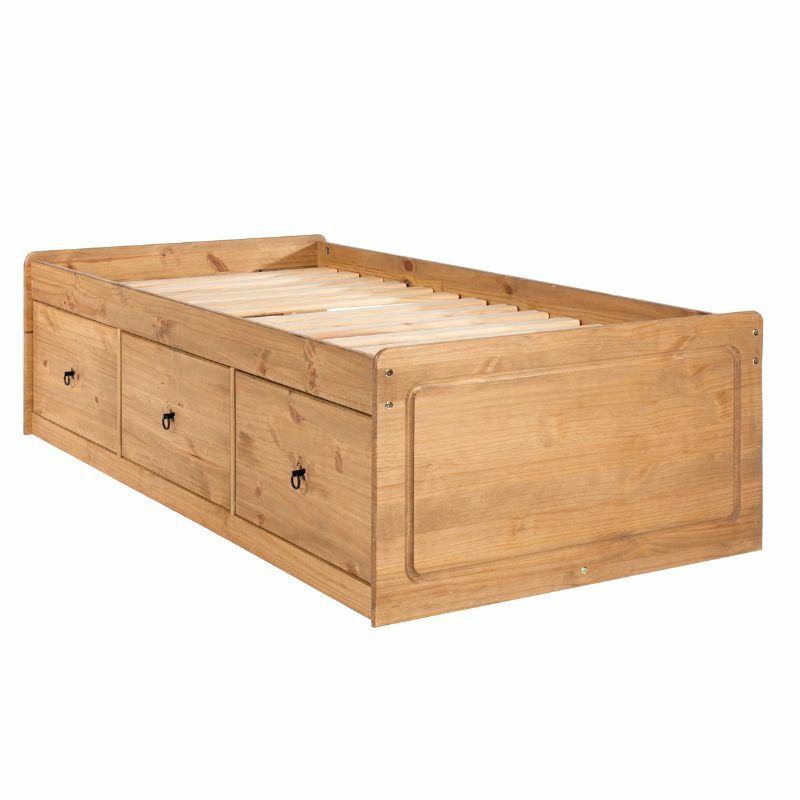 This high quality bed has been expertly crafted from solid pine and is hand-waxed to protect and preserve, as well as enhance, the grain. The decorative metal studs and ring pull handles add to the overall charm and are traditional in shape and style. Corona products are made entirely from responsibly sourced South American pine and feature quality construction methods such as dovetail joints, mortise and tenon door frames and natural wood interiors – a sign of true craftsmanship. Corona’s classic design captures all the elements of Mexican style furniture in a practical and affordable way.